Mappy-Land (a.k.a. Mappy 3) is a video game console-only sequel to the 1983 Namco/Midway arcade game Mappy. There are eight theme lands on each in this game. 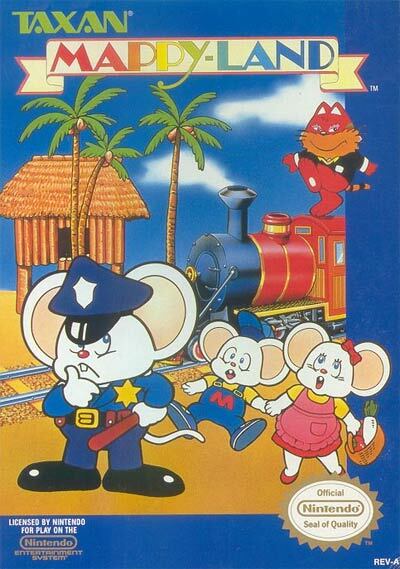 In this game, Mappy the Mouse was given an extended family, including his wife, "Mapico the Mouse" and his son, "Junior the Mouse".